The story continues, but the end nears. There are only two episodes left after this to conclude the eighteen part serial, so I hope you’ll jump on board now! 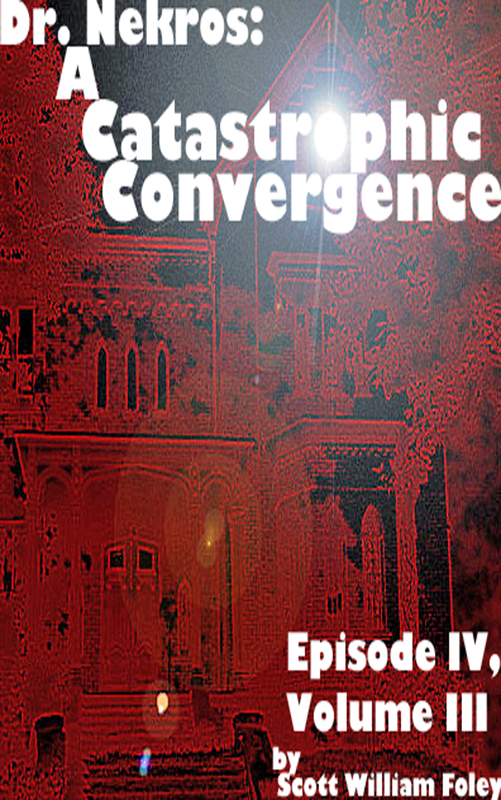 Dr. Nekros: A Catastrophic Convergence (Volume III, Episode IV) – Determined to get her youngest son back, Zetta seeks to invade Della’s lair with the help of Anton and Lillian. Meanwhile, Dr. Nekros has yet another new ally willing to take the fight straight to Xaphan in order to return Matty to his mother. Though separated by the realms of reality, both Dr. Nekros and Zetta strive for the same thing, and both will be horrified by story’s end. To read your copy on Kindle for only $00.99, click HERE! This entry was posted in Author News and tagged Action, Adventure, creative writing, electronic serial, horror, kindle, literature, reading, serial story, short story, super natural, writing.